A huge climate change demonstration has got underway in London with protesters blocking roads and causing "criminal damage" in a deliberate attempt to get arrested. Protesters parked a pink boat in the middle of Oxford Street — one of Europe's busiest streets — as a flag bearing the symbol of the organisers, Extinction Rebellion, was raised. On Westminster Bridge, another busy area of the UK's capital, protesters blocked the way by placing trees and solar panels on the road. A skate ramp was also erected. Protesters also gathered at Marble Arch, situated at the end of Oxford Street, at Piccadilly Circus, and Parliament Square. Extinction Rebellion said the protests across London were just some of dozens planned across the world, calling for governments to introduce stricter measures to tackle climate change. "We need to disrupt the system that through no fault of its own, is geared to destroy our planet," the group said. 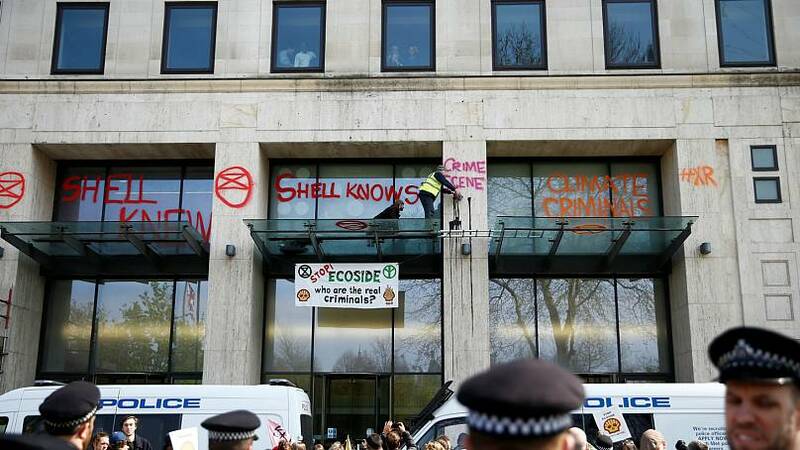 A group of demonstrators also targeted the headquarters for Shell on Monday, spraying phrases such as "Shell knows" and "climate criminals" onto the front of the building. 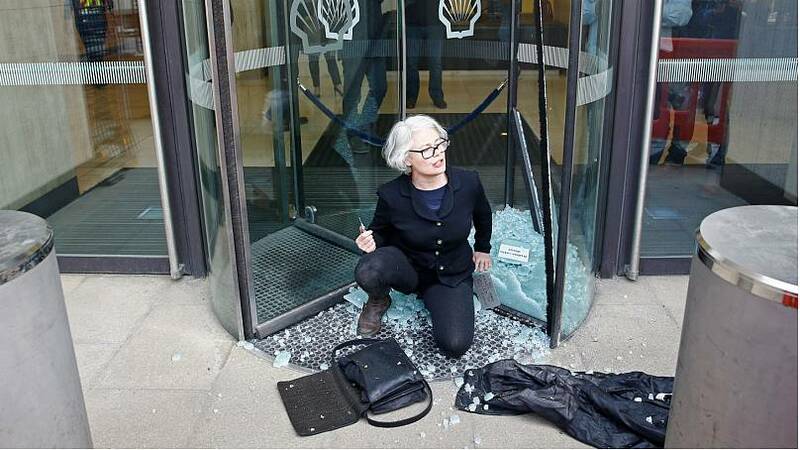 One protester attempted to glue her hand to the company's revolving-door entrance, but the glass was eventually smashed. Organisers maintained that they "intentionally" caused "more than £6,000 worth of damage" to the Shell building in order to have their case seen by the UK's Crown Courts. 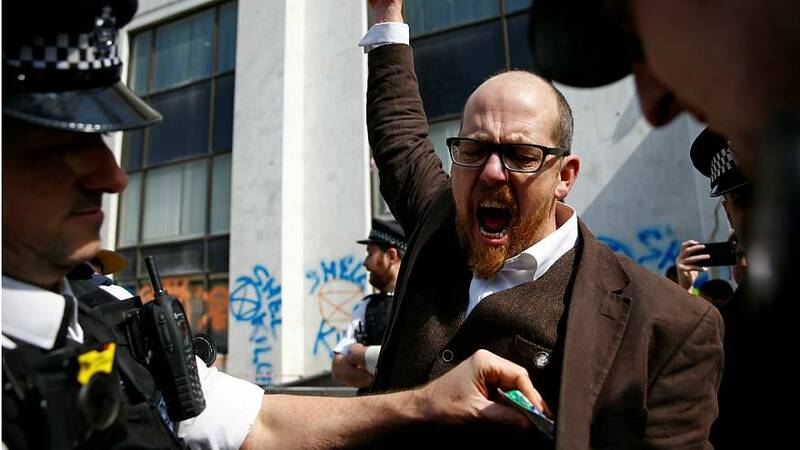 "Intentional arrests for criminal damage allow Extinction Rebellion to take this core strategy into the courts," the group said in a statement. What are the group's demands? Governments and institutions must declare "a climate and ecological emergency"
A creation of a citizen assembly on "climate and ecological justice"
Monday's protest is not the first time the group has taken action. Earlier this month, activists exposed the "naked truth" on climate change by stripping in the UK's House of Commons.